The vision for Earthy Child began when Kanisha Haskins was studying business management at Thomas Nelson Community College and participating in the Science Club. 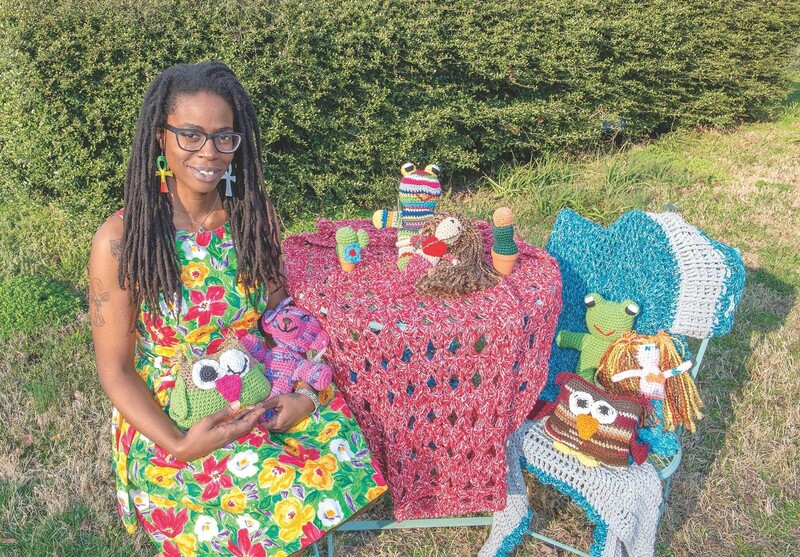 Looking for a way to showcase being green at an Earth Day event and rekindling the crochet skills she learned from her grandmother, Haskins began crocheting mats before moving on to plastic bag purses. 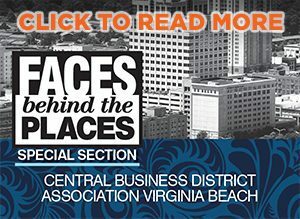 Realizing the environmental dilemma plastic bags pose in her community in Hampton, Haskins sought a solution through her own creativity. Primarily reusing plastic grocery bags and yarns for knitting, Haskins gathers materials for Earthy Child through donations from community members. She also credits her “fairy yarn-mothers” as a source for her yarns and fibers, receiving inherited yarn from retired knitters for her use. To date, Haskins has made more than 1,000 products from reused materials. From plastic grocery bags, she’s crafted purses, beach hats, stuffed animals and plant holders. Her reclaimed yarns are utilized in anything from baby blankets and crocheted cacti to scarves, hats and even cowls for dogs, with the most popular item being crocheted mermaids. Earthy Child upcycled products can be found at the Old Beach Farmers Market in Virginia Beach on select Saturday mornings and at the Riverview Village Days Market in Norfolk on select Sundays. Shop online at Mkt.com/Earthy-Child.